Making your business stand out among competitors can be a challenge – at Nyrius, we believe that this should be simple. Whether you’re a manager at a restaurant, a bowling alley, or a Yoga Instructor – colorful lighting for your business is a little thing that can make a big difference in the mind of your customer. The Nyrius Smart Bulb lets you see your business in a whole new light with a number of great features that offer safety, reliability, and convenience in your place of work. Check out these 5 fun ways that smart LED lighting can improve your business. Have more suggestions? Let us know in the comments! No matter what Holiday it is, show customers your spirit by easily adjusting your business lighting to match the Season. 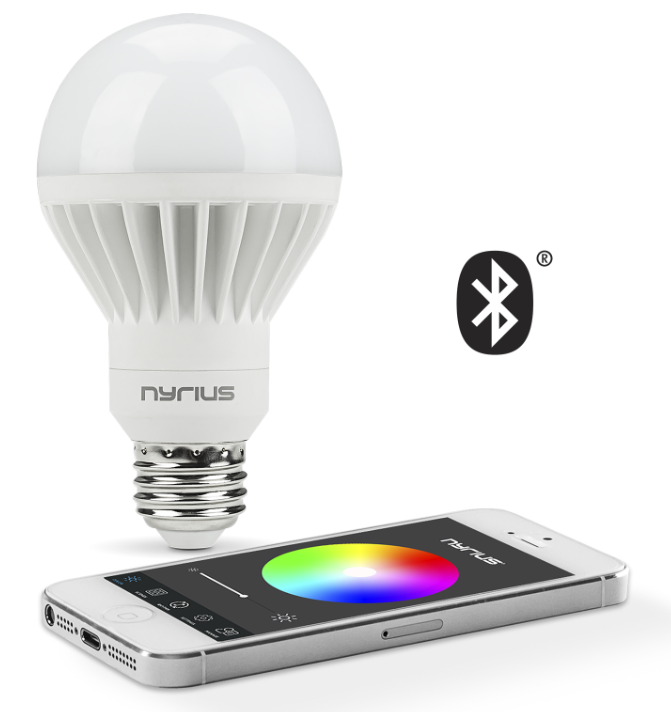 Create alternating rows of red and green light bulbs at Christmas or red, white, and blue to celebrate Independence Day – the possibilities are endless with Nyrius Smart Bulb and free Nyrius App! Want to set the mood for an intimate musical performance at your café or bar? Turn the lights down low for an acoustic performance or crank the lights to maximum brightness for a rock show. Bar lighting for businesses has never been so easy with the Nyrius Smart Bulb. Brilliant colors aren’t all that Smart LED lighting can do for your business. It’s well known that incandescent lighting lacks energy efficiency. With the Nyrius Smart Outlet you can save up to 90% on energy costs and extend your bulb’s lifespan up to 25,000 hours. 4 – Never forget to turn the lights off at the end of the day again! Don’t forget to let your customers in on the fun too! With a free Nyrius App available in both the Apple App store and Google Play store, let your guests customize their experience within your business by controlling the lighting in their seating area! See your home in a brilliant new light by easily upgrading your lighting with LED bulbs that can be controlled by your smartphone or tablet.